The company needs to cooperate with investigations, then communicate with customers and investors, and finally worry about the public, say experts. Experts have clear communications advice for Boeing in the wake of the grounding of the 737 Max: cooperate with the investigation process. "It’s very important for Boeing and customers of Boeing to let the process work out and understand completely what the issue is so an irrevocable fix can be put in," says John Martin McDonald, former comms and public affairs chief at American Airlines Group. "They already both know that." Both Sunday’s crash of Ethiopian Airlines Flight 302, which killed all 157 passengers and crew, and the crash of Lion Air Flight 610 five months earlier, killing 189 people, involved the Boeing 737 Max 8. Flight authorities from China to the E.U. have grounded the jet since Sunday. After mounting pressure, President Donald Trump said on Wednesday that the U.S. would do the same. Search crews have recovered the digital flight-data recorder and cockpit voice recorder for Flight 302. This is a step forward in trying to determine a preliminary cause of the Ethiopian Airlines crash, says McDonald. Boeing said it has sent a team to provide technical assistance under the direction of the Ethiopia Accident Investigation Bureau and the U.S. National Transportation Safety Board. "Eighty percent of what you need to know are on those instruments," he explains. "It’s very reassuring that they will come up with a preliminary cause very quickly." The response to a crash can make normal crisis communications difficult, experts say. "Being in a highly regulated industry, restrictions on public comment during an investigation are real and make crisis management more difficult," says Sean McCormack, MD of TrailRunner International and previously VP of communications at Boeing, via email. "The human tragedy involved also makes it personal for employees." "Bottom line is to work with investigators, find the root cause as quickly as possible, make any needed changes, and then be transparent in talking about cause and solution," McCormack adds. After Trump ordered the grounding of the 737 Max, McCormack said he is "confident they will resolve any issue with the airplane," though he conceded that company leaders repairing reputational damage "will take time." 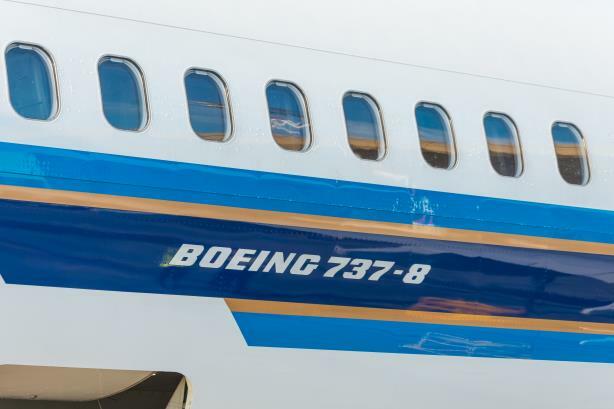 "They must be transparent, humble, and comprehensive in answering all media and stakeholder questions, leaving no doubts about Boeing’s technical excellence," he adds. "The company’s brand and reputation rests on the foundation of superior engineering and never compromising on safety." Boeing’s priorities should be customers and investors, not the public, according to McDonald. "The two main constituents they have to be concerned about are the customers and the Street," he says. "They have to make sure everyone understands they’re part of an integral process, and they’re fully cooperating and willing to learn and make changes." Preserving trust in Boeing’s product will be difficult because of the proximity of the Ethiopian Airlines and Lion Air crashes, McDonald says. The so-called "automatic trim" system has also dogged the 737 Max 8, raising questions around the pilot-training procedures and whether Boeing needs to conduct more education and training. Earlier this week, the Federal Aviation Administration declared the 737 Max 8 and 9 to be "airworthy," meaning the regulatory agency reaffirmed its confidence in its certification process, McDonald explained. Shortly after the crash, Boeing’s stock price cratered, but Boeing likely anticipated the sell-off, McDonald says. The stock market is by nature "reactionary," and fallout from a crash is typically priced into a stock in the first 72 hours, he adds. "For a lot of people, this is a [share-] buying opportunity," McDonald says. "Aircraft and aircraft orders are locked in for years, for decades. This won’t impact purchase decisions. Those get resolved before the aircraft is delivered or before the customer pays for it. Only a small number of customers are getting aircraft deliveries this year or next year."